Alpneglow's Winter Spekaer Series which began in 2006 has raised exponentially more money this year for local non-profits than in any years past with the help of local donors. 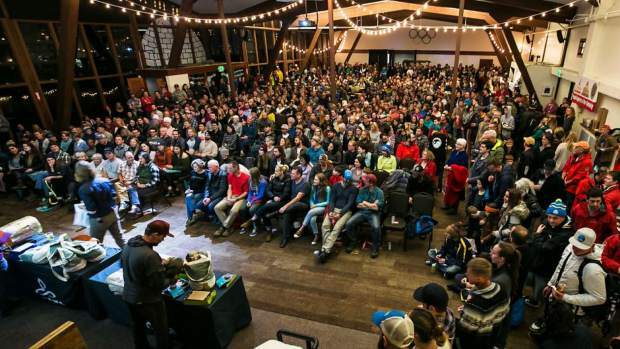 Alpenglow Sports continues to raise thousands of dollars for the Tahoe community through its Winter Speaker Series, which has garnered the support of Tahoe locals and outdoor enthusiasts. Each winter the series hosts five speakers including professional skiers, rock climbers mountain bikers or adventurers turned activists, all who share their tales of treacherous mountaineering or the struggle to make a career out of an extreme sport. 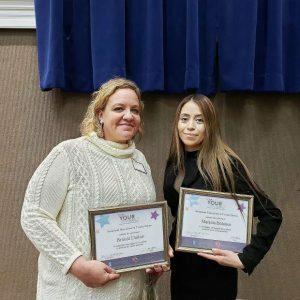 “It’s these athletes giving you an idea of how they do what they do, how they got there and what their future looks like,” said Hadley Gibson, who helps organize the events. While the event is free, product donated by each speaker’s sponsor is used to sell raffle tickets, the profits of which are all donated to a nonprofit of their choice. At a previous event professional skier Michelle Parker and professional climber Emily Harrington had items donated from their sponsors The North Face, Arc’teryx and Black Crows, raising money for the Humane Society of Tahoe Truckee. Since the series was established in 2006, it’s raised over $170,000 for local nonprofits, hosting around 600 people per event. Between raffle ticket and drink sales as well as additional donations from the community each event this year has raised roughly $20,000 with an estimated $80,000 raised in total, according to Gibson. Recently, stemming from the speaker series, came a local group called the Donor Party which has around 15 anonymous members donating funds to the cause. In conjunction with the speaker series, the group has raised $106,250 that will go to local nonprofits from each event throughout the year. Gibson said the series started out in Alpenglow’s shop then moved to Squaw Valley, as it began to draw higher profile athletes as speakers. Other speakers this year included Dave Nettle, who chose to donate the money to Adventure Risk Challenge, an outdoor development nonprofit that works to empower underserved youth through integrated literacy and wilderness experiences. Glen Plake, a local skiing legend who donated to Sierra Avalanche Center was another speaker in this season’s series. Other participants have been Lynn Hill, Jeremy Jones, Tommy Caldwell, Chris Davenport and Alex Honnold. The event was created to not only raise money for nonprofits, but to inspire a younger generation of aspiring athletes. The series will be hosting ski mountaineer Caroline Gleich on Thursday, Feb. 7, whose proceeds will go to Protect Our Winters. On Feb. 21, the series will host its final speaker of the season, Brittany Griffith, who has spent her life rock climbing all around the world.